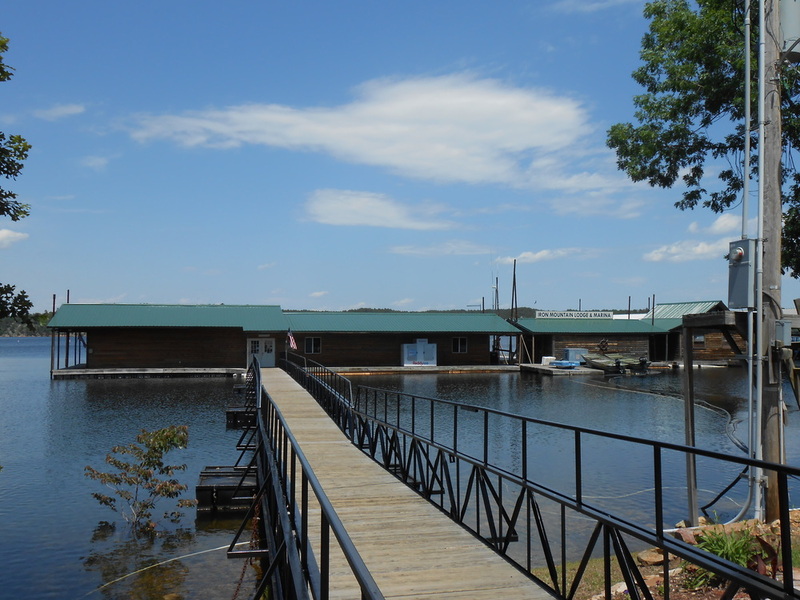 Iron Mountain Marina is your headquarters for fishing, boating, water skiing, Arkansas boat rentals and other water sports and recreation on DeGray Lake in Arkansas! Our full service Arkansas lake marina features fuel, tackle, groceries, ice, novelties and area information plus a newly remodeled marina office, ship's store and reception area. Courteous and professional marina resort staff will assist with all of your Arkansas houseboat rentals and boat rentals and watercraft needs. A paved launching ramp is available for our cottage guests. Iron Mountain Marina also offers leased slips for houseboats, sailboats, party barges, ski boats, fishing boats and personal watercraft. Known as a DeGray Lake fishing resort and scenic getaway by many, Iron Mountain Lodge and Marina has all you need for your lake vacation! Cruise DeGray Lake in luxury! Hard top and sun deck! Cruise in luxury! A hard top great for relaxing in the sun or keeping the kids entertained. Have fun on the water with these quick, comfortable ski boats! These boats really get skiers up fast! One pair of skis, ski rope and one ski vest included. Boat Dry Storage Now Available! Iron Mountain Marina can also help with boat dry storage both covered and uncovered. If you are interested in covered storage, please contact David at the Marina. Whether crappie, bass or catfishing, Tammy's goal on the water is to make sure you have a good time and to help you catch fish. She enjoys fishing with beginners as well as the more experienced anglers. To book your own guided fishing trip with Tammy, call her at (870) 356-8251, visit her web site by clicking Fishing with Tammy or send her an email at FishingwithTammy@yahoo.com. If you would like to spend more time out on the water at beautiful DeGray Lake, visit Anchors Away. The crew at Anchors Away can help you with houseboat rentals and water toy rentals. Call them at 870-246-8800 or 866-618-8600. Tax, Fuel and Oil not included in rates. Life jackets are furnished for our recommended number of occupants per rental boat. Life Jacket rentals are $2 per day and ski vest rentals are $5 per day. A valid credit card and driver's license are required before any boat may be released. Half-day hours are 7:30 a.m. to 1:00 p.m. and 1:30 p.m. to 7:00 p.m. Full day hours are 8:00 a.m. to 7:00 p.m. Daylight Saving Time.